The Collaborative formed in 2005 as a result of a partnership between the Forest Stewards Guild and the Cibola National Forest on a Collaborative Forest Restoration Program (CFRP) grant. The success of the 2005 CFRP, as well as other partner investments in the landscape, led to the Cibola National Forest being awarded the Zuni Mountains Collaborative Forest Landscape Restoration Program (CFLR) grant in 2012. The Collaborative initially focused on establishing an ecological and socio-economic monitoring program to inform the implementation of restoration treatments, but has since expanded and is now looking beyond the CFLR end-date. The purpose of the Zuni Mountains Collaborative is to provide recommendations for actions concerning the use and management of lands and waters within the Zuni Mountain Landscape in west-central New Mexico. The Collaborative works closely with Cibola National Forest on the Zuni Mountain Collaborative Forest Landscape Restoration project. Planning, management, monitoring, and adaptive management actions and decisions are grounded in science. Whenever possible, the Collaborative works with geographically appropriate primary studies that are peer-reviewed prior to publication, as this process generally imposes the rigor that filters out opinion. Other primary sources include annual agency reports such as regional forest insect and disease conditions, and GIS layers produced by agencies or third parties. The Collaborative uses peer-reviewed secondary sources synthesize findings from the primary literature. The Collaborative recognizes that different treatment-site combinations will favor some organisms and community conditions over others. Where there may be disagreement on specific treatments, we rely on the collaborative process to agree upon a recommended set of treatments. In early 2012, Secretary of Agriculture Tom Vilsack announced that the Collaborative Forest Landscape Restoration Program of the USDA Forest Service has selected Zuni Mountain Landscape Restoration project to receive $7.6 million in funding over 10 years. Since 2003 the Cibola National Forest has been committed to landscape scale restoration of ponderosa pine dominated forests in the Zuni Mountains. The Collaborative Forest Landscape Restoration Program (CFLRP) is a nationwide program to realize collaboration in science-based forest restoration at the landscape scale. The CFLRP project builds and expands upon the Bluewater Environmental Impact Statement (EIS) as well as the many successes of the Collaborative Forest Restoration Program (CFRP) grants and the Stewardship Contract on the District. 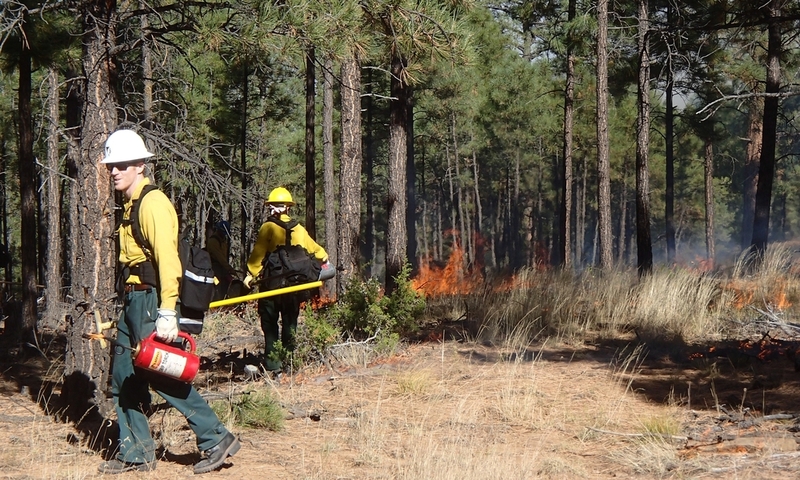 The Cibola National Forest has partnered with diverse stakeholders including the National Wild Turkey Federation, the Forest Stewards Guild, the New Mexico Forest and Watershed Restoration Institute, and the Wood Industries Network. The Forest Stewards Guild coordinated the proposal effort with the Cibola National Forest and the other collaborators. Youth engagement is a significant component of education and outreach in the Zuni Mountains. The Forest Stewards Youth Corps crew, based out of the Mt. Taylor Ranger District, is one long-standing youth crew in the landscape. The Collaborative is working to expand opportunities for youth to participate in restoration and monitoring in the Zuni Mountains. The Collaborative recognizes the importance of local businesses that provide jobs and form the backbone of the restoration economy in the Zuni Mountains. Growing the market for wood products is vital to restoring the forests and watersheds that residents rely on.